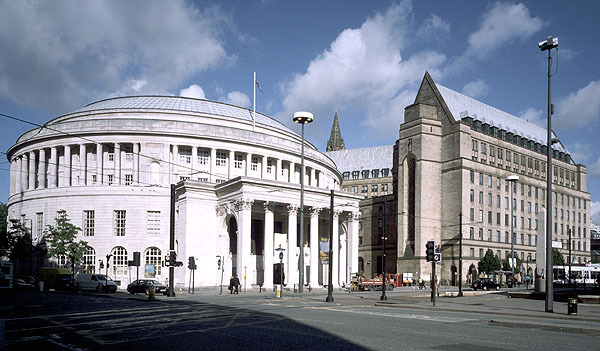 Manchester Inventors Group congratulates Manchester council and all the people involved in the refurbishment of Central library, which was the home of the Manchester Inventors Group. This building typifies the foundations of Manchester’s prosperity in knowledge based innovation and inventions applied to industry and business. We are please to say that from April we will be back at our normal venue after three years. Join us back at our home, Central Library, once more. Manchester Inventors has a simple aim, to help inventors. If you're an inventor then hopefully we can help you too. We meet once a month to discuss ideas, inventions and how to take new products to market. We usually have guest speakers such as successful inventors and business experts. The group is open to anyone and everyone so please feel free to just turn up at our next meeting to see if it's for you. There's no charge to try us out once or twice and if you want to become a member our membership is only £10 a year. You get access to a network of people who can help or appreciate inventing and innovation. Meet successes and be warned about hidden professional trappers and genuine helpers. Access to funding and generally share creative journey experiences. For meetings and events please select a year from the menu on the left. Please see link below for any feedback and slides from any of our events.